When the Queen calls, you answer. Her Majesty Sha’ya of An Tir laid a challenge on our Kingdom, and in particular upon the Laurels: produce a work to be auctioned off to benefit RAINN during the Knights Auction (all donations are sponsored by a Knight) at 12th Night. I was moved — this is an incredible organization whose mission I believe in. I wanted to produce something worthy of auction. I found a sponsor, Sir Philip de Mantel, and proposed to put together a set of spice mixes for period cooking. Most of these (4/6) were made using actual period recipes. The remaining two (powder douce and powder fort) are more “generic” spice blends that I have my own versions of. You can see I found cute bottles and a cute basket and even made little labels for them. But here’s the thing: I didn’t feel like it was enough. I got it into my head that spices are okay, but you need recipes to know how to use them. So, long story short, I kind of wrote a cookbook. That’s a screenshot of the cover. I wrote a cookbook, and I got a copy of it printed, and I put it and the spices together as one lot for the auction. The winning bidder currently owns the only copy of this cookbook in existence. Next addition will be a chapter on recreating medieval bread in a home kitchen (with a normal oven). This is re-published from my old blog. In the SCA, the first piece of research advice you’ll get (well, after “don’t try to back-document a project you’ve already completed”) is that you must know the difference between a primary and a secondary source. Generally, we define a primary source as an actual historical item (or text) and a secondary source is a modern interpretation of those historical sources. So if you’re researching clothing, a primary source would be an extant historical garment while a secondary source would be a modern book about medieval clothing. Here’s a question for you: what’s a primary source for historical cooking? You can’t go to a museum and see (much less eat) the wedding feast of Henry and Matilda. 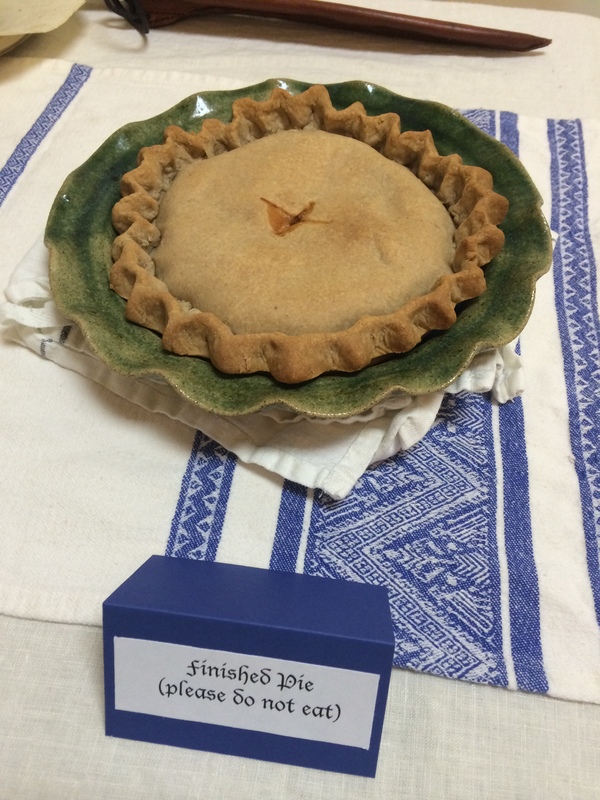 Recreating historical food will always require you to synthesize multiple research strands. That’s the fundamental purpose behind this lesson: all of these types of sources that I describe build on each other, and the strongest research makes use not only of multiple individual sources but multiple strands of research and analysis.